Mercer Hall has been teaching for over eighteen years at an independent school on Long Island, New York. He is a five-time honoree as Teacher Of The Year, and he has been awarded both the Thomas J. Reid Excellence In Teaching Award and the Powers Family Teacher Recognition Award. Mercer writes about educational policy and learning technology for Al Jazeera America, EdSurge, and other publications. He received a TESInnovates scholarship to SXSWEdu 2015 for his creative use of edtech in the classroom. Mercer believes in the Digital Humanities and Hacker Hour learning approaches, bridging the fields of history, language arts, computer coding, and media & financial literacy. He brings to teaching prior experience from the fields of business consulting, marketing, and publishing. Mercer has coordinated workshops for faculty and has presented on literacies and curriculum design at national conferences, such as the National Council for the Social Studies, the Association for Middle Level Education, the International Visual Literacy Association, the New York State Computers and Technologies in Education, and NYSAIS Teaching with Technology. Patricia A. Russac is a teacher librarian with over nineteen years of experience at an independent, private elementary school in New York. She is a TED Educator, a PBS Learning Media Digital Innovator, and a National Association of Independent Schools Teacher of the Future. She has been awarded the school's Thomas J. Reid Excellence in Teaching Award. She received the Planet Orange Financial Literacy Grant from ING Direct, and the Curriculum Project Grant from the American Immigration Law Foundation. Her passion for helping learners become informationally, technologically, and media literate is evident in her continued upgrade of the school’s curriculum to meet the needs of the learner. She also brings a wealth of experience as a practicing artist and in her education as an art historian. Patricia has presented on instructional design and curriculum at the National Council for the Social Studies, the Association for Middle Level Education, the International Visual Literacy Association, the New York State Computers and Technologies in Education, and the NYSAIS Teaching with Technology conferences. Mercer and Patricia have partnered for over fifteen years in designing collaborative lessons, project-based learning units, and professional development workshops. If you are interested in having us conduct a workshop for your school or conference, please contact us at theasideblog@gmail.com. 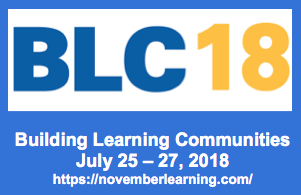 Building Learning Communities Annual Conference, July 2018 - "Where Learning Meets Design: Taking Control of the Visual Classroom," and "Empowering Creativity and Visual Journalism." National Association of Independent Schools (NAIS) Annual Conference, March 2017 - "Where Learning Meets Design: Taking Control of the Visual Classroom." 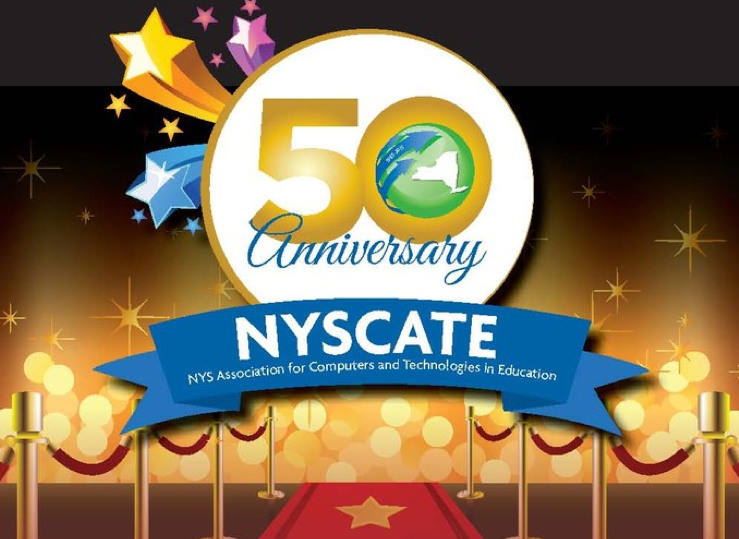 New York State Computers and Technology in Education (NYSCATE) November 2016 - "Student Videos & Animations Empower Creativity." National Council for the Social Studies Annual Conference, December 2016 - "Maps vs Mapping: Visualizing History & Geography." New York College Learning Skills Association Symposium 2016 - April 2016, "Design Gives Context To Content To Engage Learners." Keynote presenters for the Nassau Community College, 10th Annual IDEAS Symposium on Literacy Through Visual Thinking - November 6, 2015, "Visual Thinking: Where Learning Meets Design." "Tear Down This Firewall ­ Using Social Media To Engage Students & Parents." Why Design Matters For Educators and Learners. New York College Learning Skills Association (NYCLSA), April 6, 2016. Hall, Mercer and Gina Sipley. Why Children Who Play Succeed. Al Jazeera America. August 6, 2015. Hall, Mercer and Gina Sipley. Test-obsessed Instruction Leaves Little Room To Teach Race. Al Jazeera America. June 25, 2015. Hall, Mercer and Gina Sipley. Perverse Incentives Compel Teachers To Cheat. Al Jazeera America. April 20, 2015. Hall, Mercer and Gina Sipley. Turn Your Public Library Into A Kid Coding Community. EdSurge. March 2, 2015. Hall, Mercer and Gina Sipley. What's Wrong With Using Data To Grade Teachers? Al Jazeera America. December 2, 2014. Russac, Patricia. Interview with EdTechLens. "How To Integrate Primary Sources Into Your Science Curriculum." October 2014 EdTechLens Newsletter. Hall, Mercer and Patricia Russac. "Web 3.0 Is Here: The Promises And Pitfalls Of Always-On Learning." Education Technology Solutions Magazine. Print issue August/September 2014. Website: October 9, 2014. Hall, Mercer and Gina Sipley. In Edtech Partnerships, Teacher Experience Matters -- To An Extent. EdSurge. June 27, 2014. Hall, Mercer and Gina Sipley. Ending Teacher Tenure Is Shortsighted. Al Jazeera America. June 13, 2014. Hall, Mercer and Gina Sipley. The Greening of the American Teacher. Al Jazeera America. June 9, 2014. Hall, Mercer and Patricia Russac. 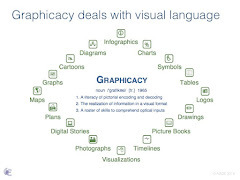 The Design of Information: Empowering Students To Create Authentic Visuals. 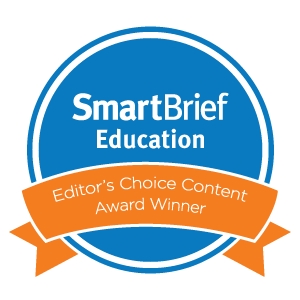 Guest bloggers on Free Technology For Teachers, May 22, 2014. Hall, Mercer and Gina Sipley. Give Educators the Drawing Board. EdSurge. March 28, 2014. Hall, Mercer and Gina Sipley. Tech-ifying Learning? Teacher Knows Best. Al Jazeera America. March 21, 2014. Hall, Mercer and Gina Sipley. Where are Educators in the Edtech Revolution? EdSurge. March 1, 2014. Hall, Mercer. Are We Truly Preparing the Next Generation's Workforce. Strategies, PreScouter Journal, September 6, 2013. Hall, Mercer. The Curiosity Prerogative - Technology As Empowerment For Self-expression, Media Commons: A Digital Scholarly Network, June 14, 2013. Russac, Patricia. The Third Space - Digital Tools Disrupt Learning Hierarchies, Media Commons: A Digital Scholarly Network, June 14, 2013. Is Social Media a Net Asset or Liability in Education? Interview on EdChat Radio with Tom Whitby and Nancy Blair, July 2017. Hall, Mercer and Patricia Russac. Design Literacy And The Importance Of Visual Thinking. Interview with Education Talk Radio. May 21, 2015. What Role Should Blogs Play In The Life Of An Educator?. Interview on EdChat Radio with Tom Whitby and Nancy Blair, October 2014. Dunn, Jeff. 10 Education Stories You Should Know About - "Where Are Educators In the EdTech Revolution," authored by Mercer Hall and Gina Sipley. Edudemic. March 5, 2014. Rebeiro, Ricky. "Incorporating the 2014 Winter Olympics In the Classroom." EdTech K-12. February 12, 2014. "A Parent's Resource Guide To Social And Emotional Learning." Edutopia. February 10, 2014. Davis, Matt. "Sochi 2014 Games: 6 Winter Olympics-Themed STEM Resources." Edutopia. February 3, 2014. Rebeiro, Ricky. "How Should Schools Navigate Student Privacy In a Social Media World." EdTech K-12. December 2, 2013. Lepi, Katie. 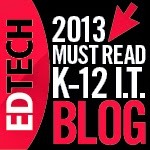 "Fabulous Education Technology Blogs Worth Following." Edudemic. November 9, 2013. Sipley, Gina. "Seeing the Visual," Klingbrief, October 2013. "The American Society for Innovation Design Education (ASIDE), co-founded by independent school teachers Mercer Hall and Patricia Russac, publishes a blog that illuminates the visual discourse embedded in the communication and design of 21st Century information. 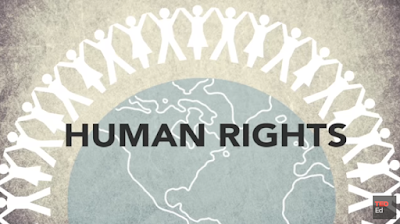 Rooted in the principle that design thinking transforms the way children learn, the ASIDE blog features thematic posts exploring visual representations of current events and popular culture. Whether writing about the complexities of the Syrian conflict or the implicit messaging of Superbowl commercials, Hall and Russac find an exciting and approachable way to differentiate instruction and to inspire divergent thought. Their vision of learners as makers and doers is evident in their prose; each post prompts the reader to engage in a dialectical relationship with media, to both question it and to create it. The ASIDE Blog also hosts an impressive catalogue of K-12 curricular resources, including: an infographics library, a compendium of inspiring student projects, a catalog of visual education blogs, and a bibliography of scholarly resources. Their Design in Education Paper.li gathers a daily compilation of best resources and practices published across the web and @theASIDEblog frequently tweets tools for interdisciplinary applications." What Is The Perfect Learning Space? Rethinking Classroom Design. Interview on EdChat Radio with Tom Whitby and Nancy Blair, August 2013. Gutierrez, Peter. "Who's Playing Who?" School Library Journal. (February 2013): 28-30. Gutierrez, Peter. "Media Literacy, Powerfully: A Model For School Librarian and Classroom Teacher Collaboration." Connect the Pop Blog, School Library Journal, February 1, 2013. Gutierrez, Peter. On Libraries and New Media, "Saving Kids from Sneaky Online Marketing," The Digital Shift Blog, Library Journal/School Library Journal, February 7, 2013. "The Benefits Of Good Design: Simple Strategies for Creating Elegant and Effective Materials to Engage Students"
"Web 3.0 And Social Media In The Classroom"
"Projects In Web 3.0: Privacy Is The New Predator"
"Maps vs Mapping: Visualizing History and Geography"
"DLIT: Design, Literacy, Information, and Technology"
"10 Ways Twitter Makes Us Better Teachers"
"DLIT: Design, Literacy, Information and Technology"